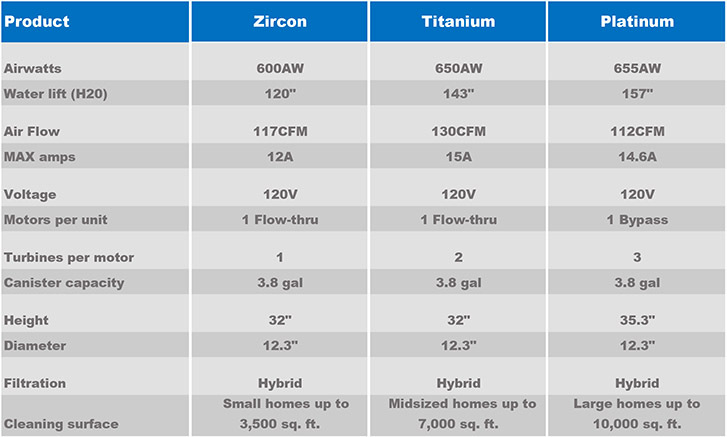 If Hayden is your go to central vacuum then you will be thrilled to hear of 3 new central vacuum power units: Zircon, Titanium, and Platinum. All three units are Hybrids which means they can run with or without a bag. A bag is recommended to extend the life of the filter and motor. The units are made in Canada with a 3.8 gal dirt bucket made of 18-20 gauge stainless steel. If you choose to use a bag, the units use a 3-layer electro static bag and an inverted cloth HEPA filter. Each unit is equipped with 1 motor and has 1, 2, or 3 turbines (fans). They are rated for homes up to 10,000 square feet and all three units are backed with a 5-year warranty. 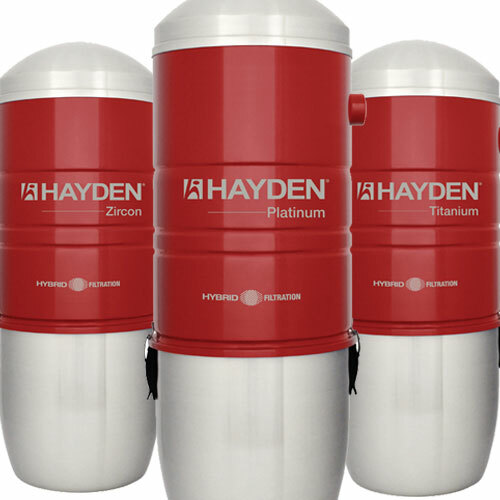 These new Hayden units can replace another Hayden and virtually any other brand of central vacuum. If you have question regarding new Hayden hybrid power units or would like to place an order please feel free to give us a call at 1-800-533-3249.